Our fiscal year is May 1 through April 30. 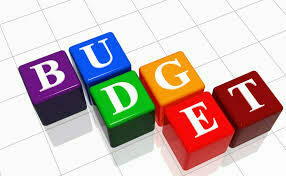 The budgeting process starts shortly after the first of the year with staff, then work sessions with the City Commission in March and formal budget review and adoption in April. Click on the links files below to view our annual budgets. These are a large files and make take several minutes to download. high speed internet is suggested to open this file. If viewing in Adobe Reader, the .pdf has been bookmarked for easier viewing. Once file is open, click on the bookmark on the left side for a drop-down menu of all of the sections. Copies of the budget are available for review at City Hall and the Boyne District Library.